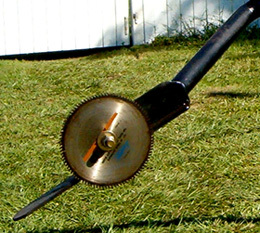 Hydraulic Boom Tree Saw with 12" carbide saw blade - will accommodate up to 24" blade. 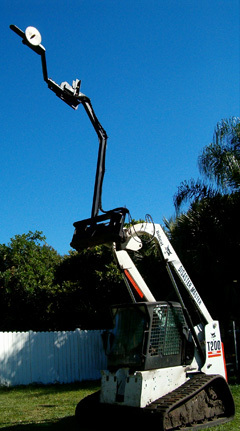 Saw attachment can be removed from boom to interchange with Boom Grapple attachment or to use boom independently. 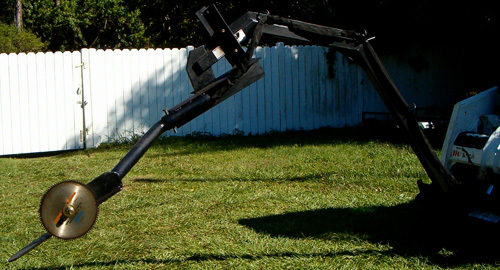 Standard 2-pin hitch. 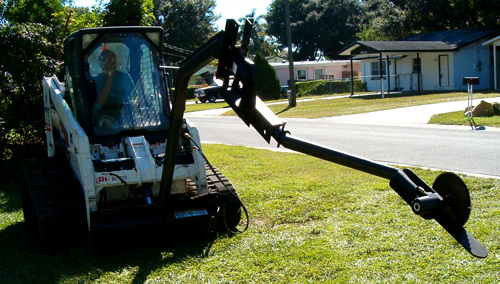 Uses existing hydraulics on your skid steer. Additional 10 ft. reach.